Merch by Amazon you must have heard about. It’s a print-on-demand service that can bring you a lot of money. There are opportunities, also challenges while working with Merch by Amazon. Today, our Merch by Amazon review and talk about it deeper, so that we could help you get started with Merch by Amazon with ease. This is a print-on-demand service, which means they print the t-shirt after the sale was made. Amazon will handle the production procedure, also the logistic process and storage, you won’t need to worry about products, materials, factory, warehouse, tailors, unsold stuff or any of them. It’s risk-free (or at least very-tiny-small risks). In general, the only thing’s gonna waste you is time and your thinking brain. 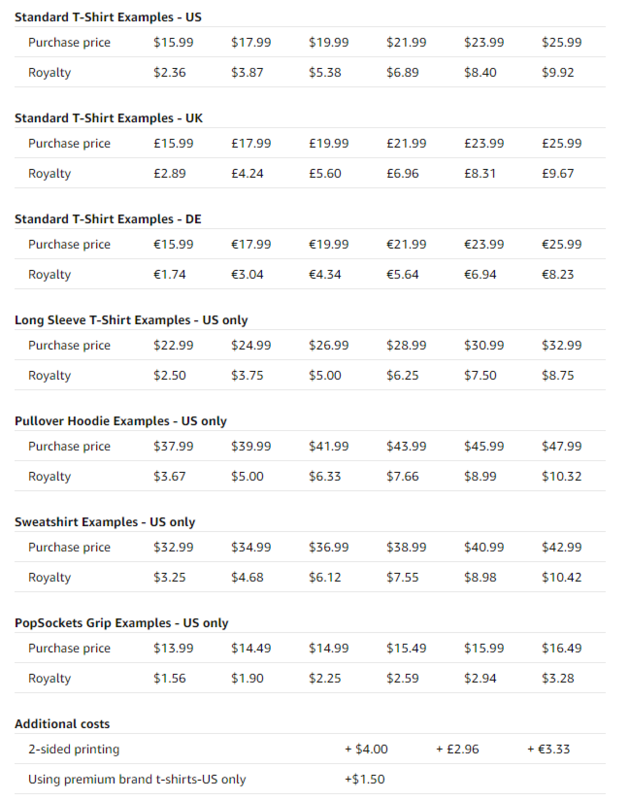 You upload your T-shirt design and set the price. Amazon approves it, making it as an Amazon product. Amazon makes it, ships it to people. You have the money. Sounds fun! People are usually misunderstood with Merch by Amazon, that they will need to produce, print the T-shirt and ship it themselves. However, this is not correct. Your job is only to draw, design, and list your items. Amazon will take care of the platform, payment, selling, producing and shipping. We’d like to clarify it so that you can easily get started with Merch by Amazon. According to our statistic, Merch by Amazon currently has 6.5 million T-shirts available. In addition, there are a lot more T-shirts which was removed from the platform that you can’t find them on Amazon anymore. In fact, this number could reach 25 million. To be honest, such large numbers of shirts and designs. How to start Merch by Amazon? Registering for a slot of Merch by Amazon could be easy, what you did is just press “Request an Invitation” in this link: https://merch.amazon.com/ and filling your information in. 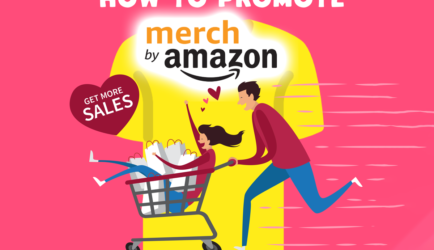 Are you looking for deeper information about Merch by Amazon, you can read our previous posts analyzed and explained everything about it here: Merch by Amazon – All you need to know. To get started with Merch by Amazon, this guide will definitely help you what to do next: the Ultimate Getting Started Guide for Merch by Amazon. 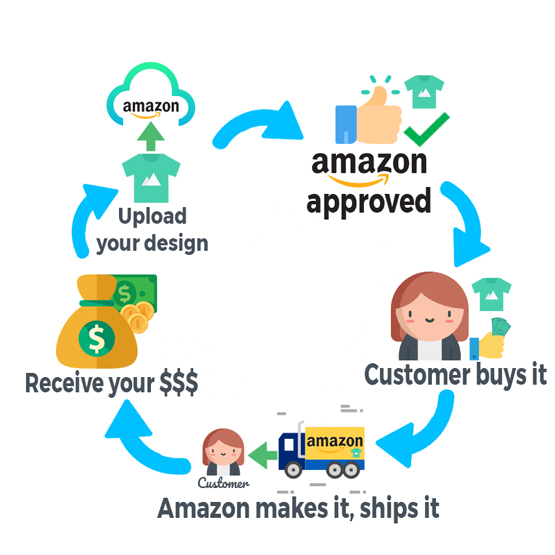 If you want to find the best Merch by Amazon designs, please check out our post here: How to find profitable Merch by Amazon designs. And finally, for Merch by Amazon research, please check out our detailed post: How to do Merch by Amazon research. In the meantime waiting for approval to Merch by Amazon, you can read the post above to get a better understanding of Merch by Amazon. You do not have to invest in many things for producing or shipping. In fact, the only job you do is prepare a PC or Laptop, image editor application like Photoshop, and start drawing your own T-shirts, no more facilities required. However, you might need a license of your image editor, but it doesn’t cost much, a few sales on Merch by Amazon can cover the fee. Furthermore, money-saving means less risk for you, either. 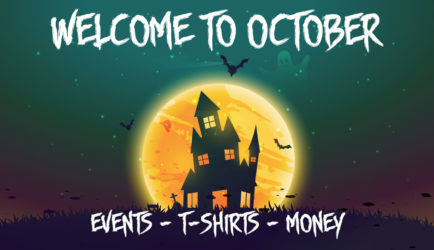 Designing or drawing T-shirts won’t take much time and if you’re a good designer, you can draw multiple designs per day and get it uploaded for sales. Faster drawing process means more T-shirts online on Amazon, more sales for you. Your job is to design and to optimize your listing. Thus, you’ll be off from handy work like printing, shipping or producing, or maintaining the site/platform running. It will be less risk for you. For each item sold, you will earn a percentage of that sale and Amazon will bulk them all up to pay you each month. If your T-shirts went viral and had a lot of sales, you can earn $2000/month and it costs you almost nothing. To have a shout-out design, you should have a top-notch idea for it and use it well. The source for ideas can be various: on Facebook, Twitter, newspaper, TV, viral events, memes, and more. To find it best, you can check out what the others are doing and find the bestselling T-shirts with 3rd party tool. The tool can give you insights and all necessary information about Merch by Amazon research, market and T-shirt designs. Above all, SpyAMZ is the best tool can help you with that. As the number 2 issue rises, we have Stealing issue. At first, other people can observe your incredibly high ranked T-shirts, they can copy it exactly, or steal your concept to make their own design. This somehow pushes the creativity to climax but causes a severe problem to Content Creators. Even if they don’t know what’s the meaning of the shirts, they saw it high ranked, so they copied, make sense. Therefore, this also causes confusion among the customers and force the market to become more complicated. Well, you know that all the top-notch idea which easy to go viral and recognized usually come from with other famous elements. Those elements mostly come from the intellectual properties of other parties, like movies, books, songs. However, these are not allowed with Merch by Amazon, so your idea sources will become smaller. Also, it’s very easy to violate Content Policy, as these policies are strict. If you violated too many times or violated some terms heavily, your account will be suspended. If your account gets terminated, it’s cool to create a new one. However, you might need to use different information to register. Furthermore, the wait time for Merch by Amazon approval is not constant. It might take a week, a month or even longer. Please cherish your Merch by Amazon account. It’d better stay away from Intellectual Properties or Copyrights. At first, this sounds not legit but it’s true. As I said, Amazon handles the job to produce and ship the T-shirts to customers. The quality of the product is based on Amazon and if the T-shirt has any defect from Amazon producing, the customer can return it. If so, your royalty of that sale will be deducted, along with a small amount for “returning fee”. This could possibly cause your royalty down below zero. Nonetheless, regardless the defect is from your side or Amazon, you’re the one have to pay for returning fee.